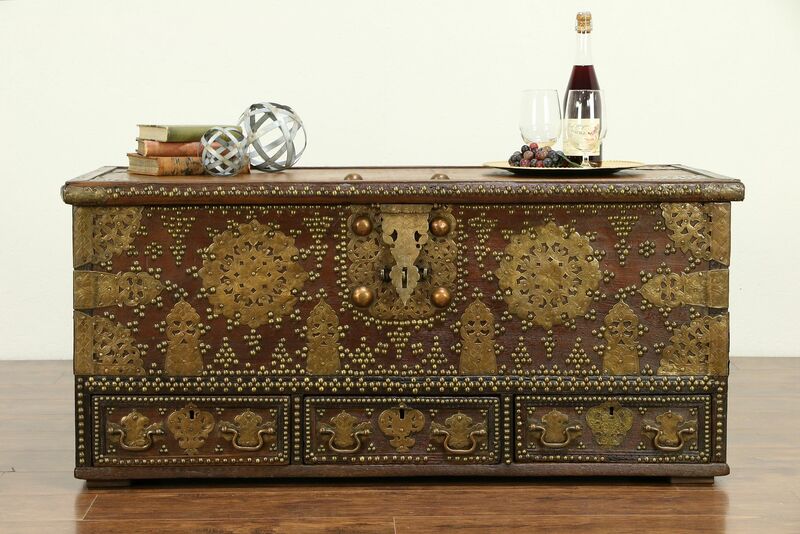 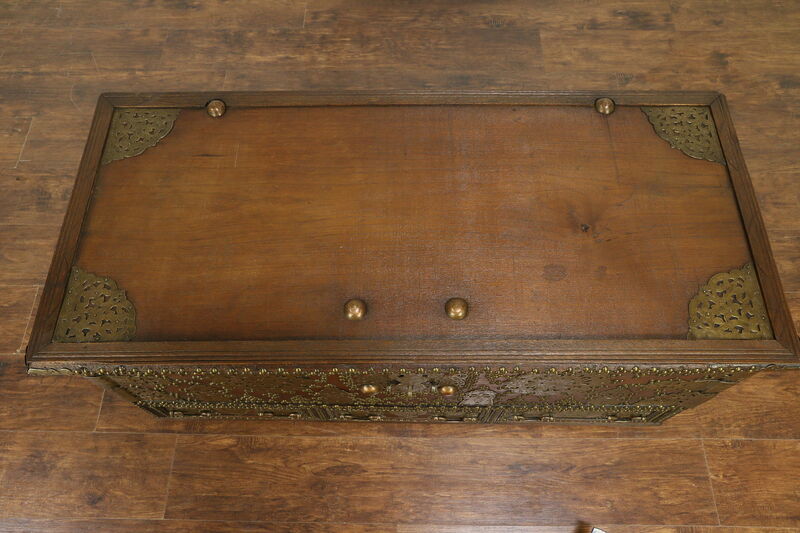 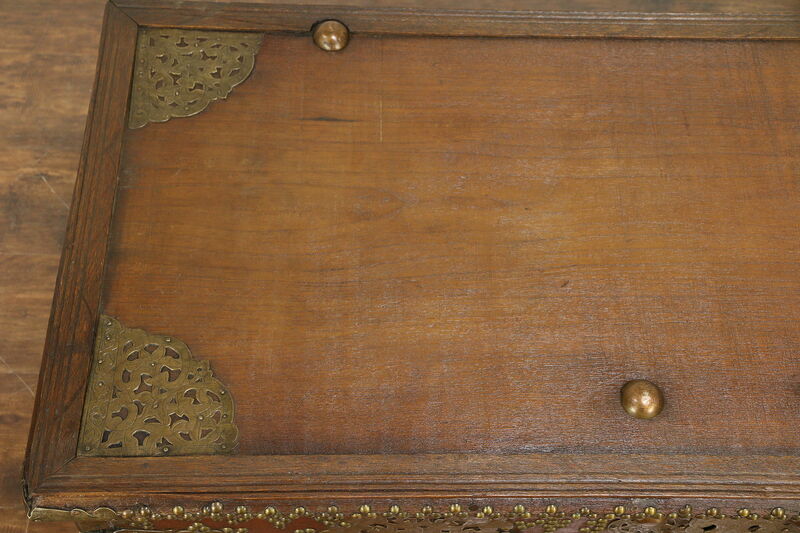 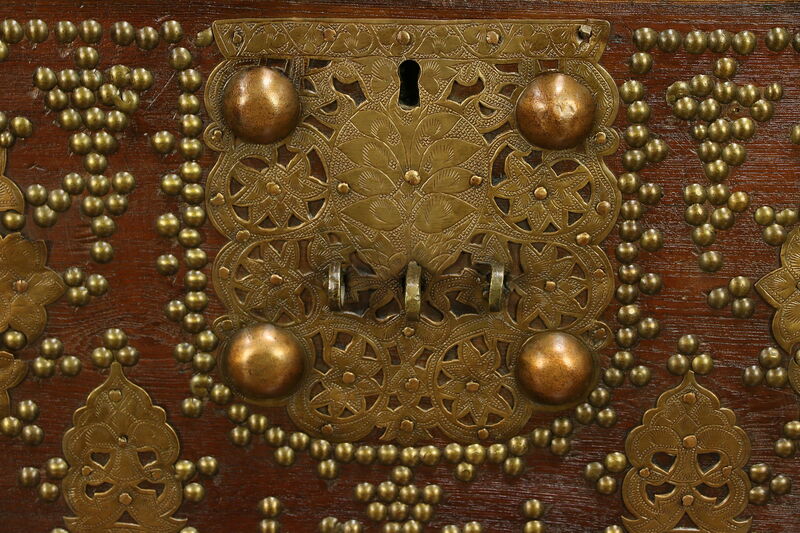 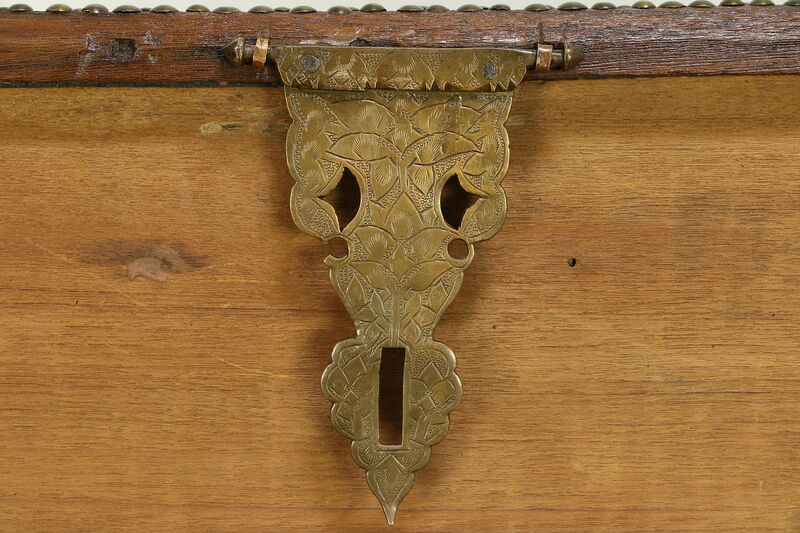 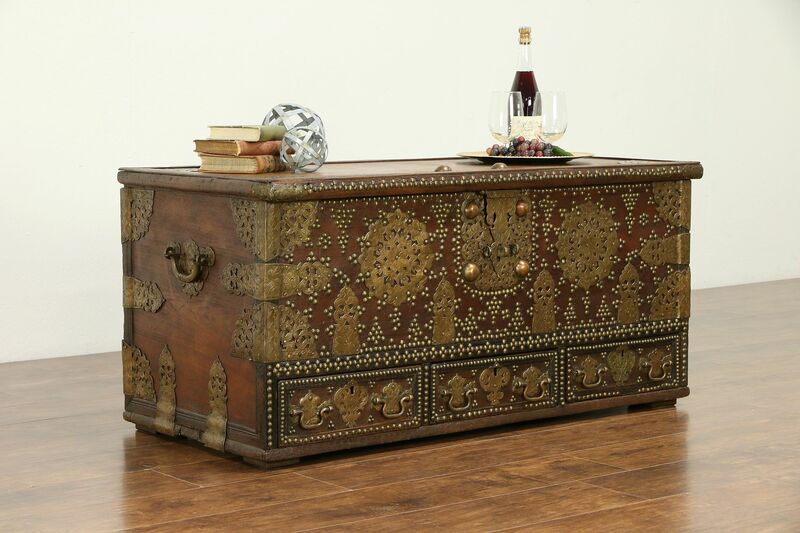 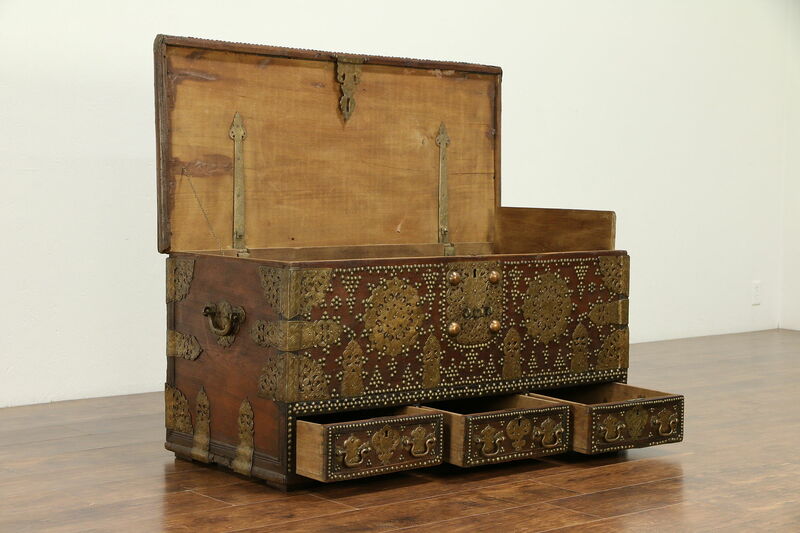 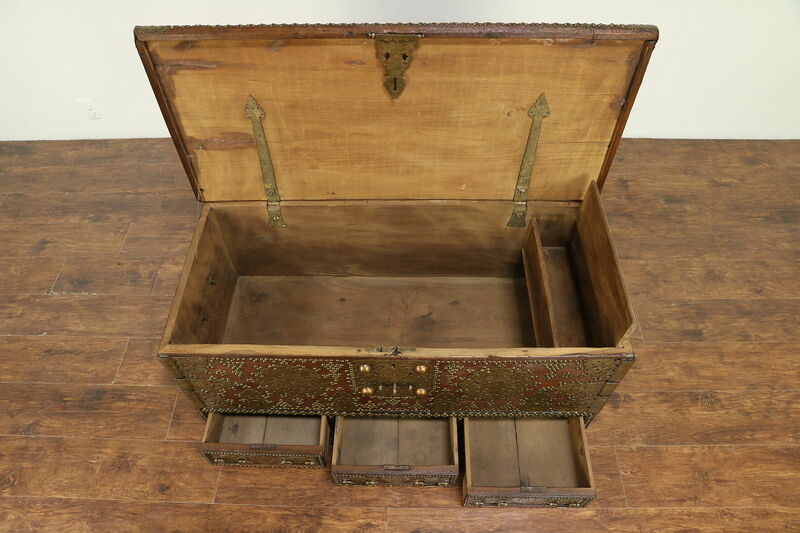 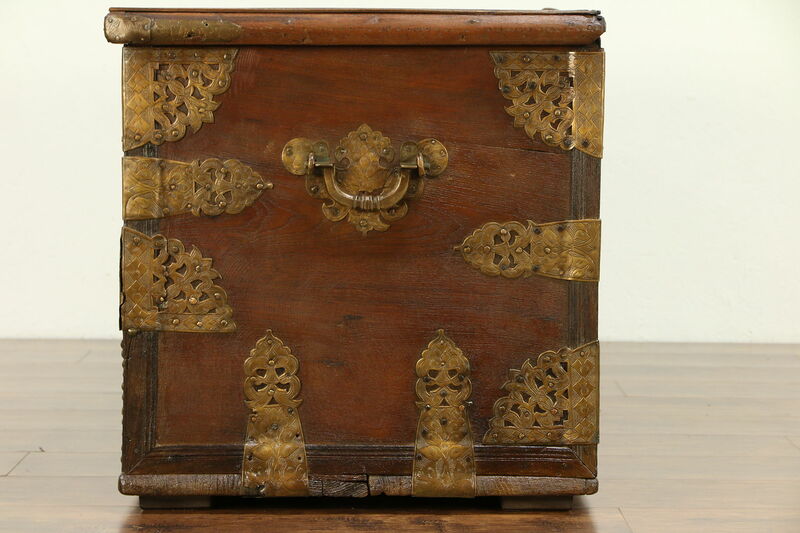 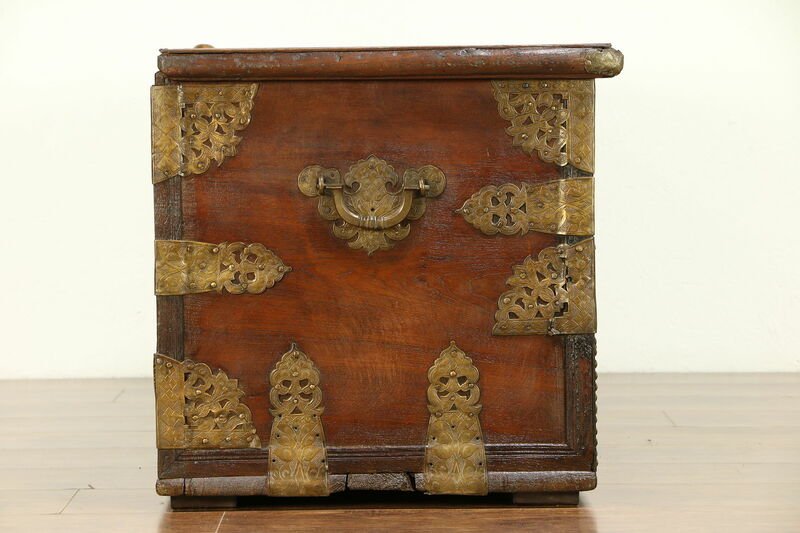 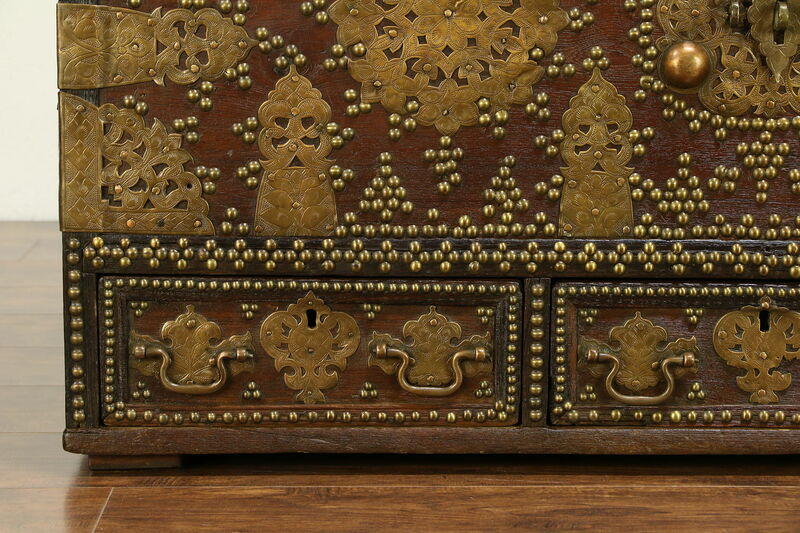 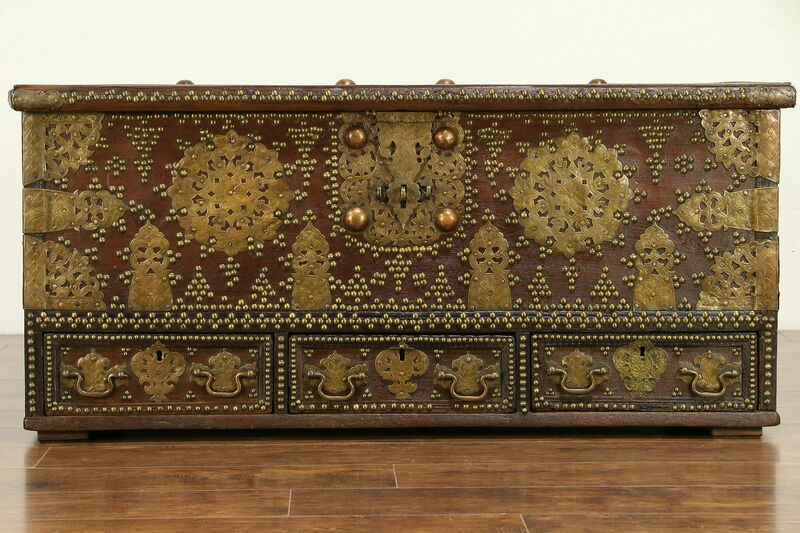 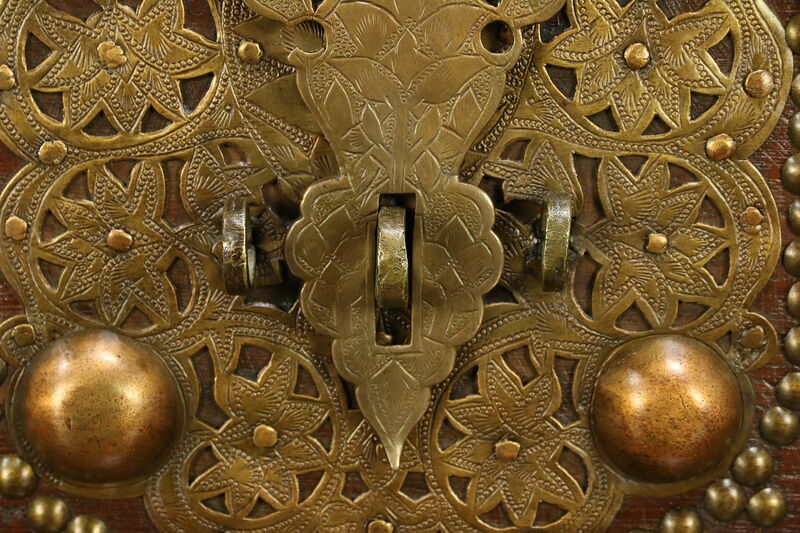 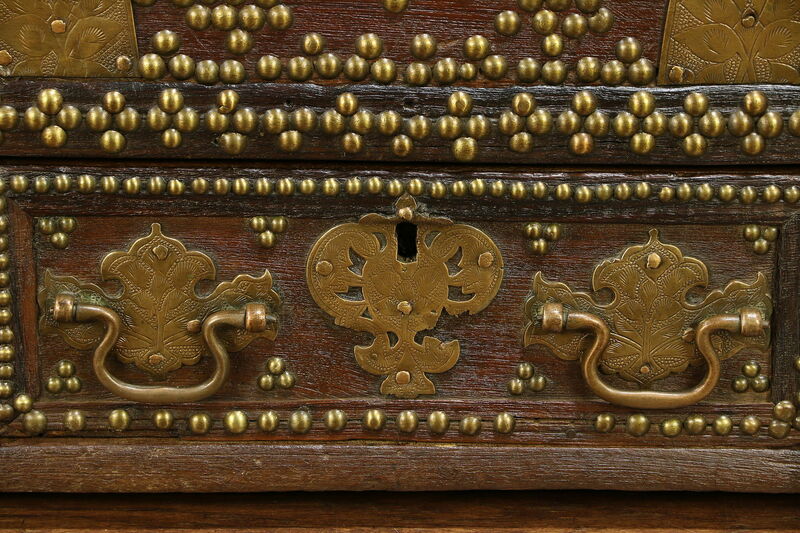 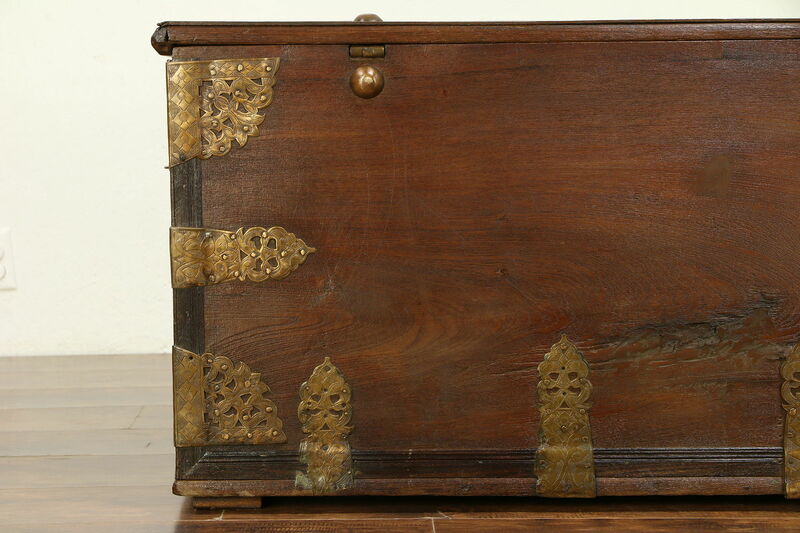 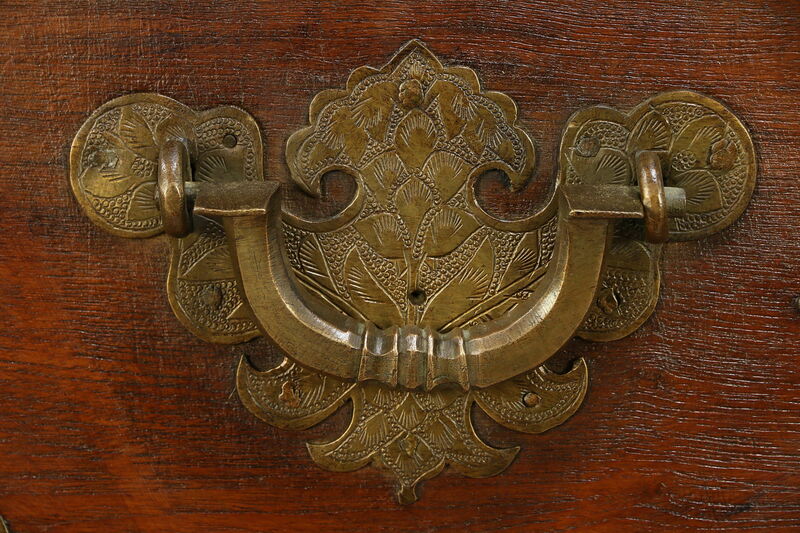 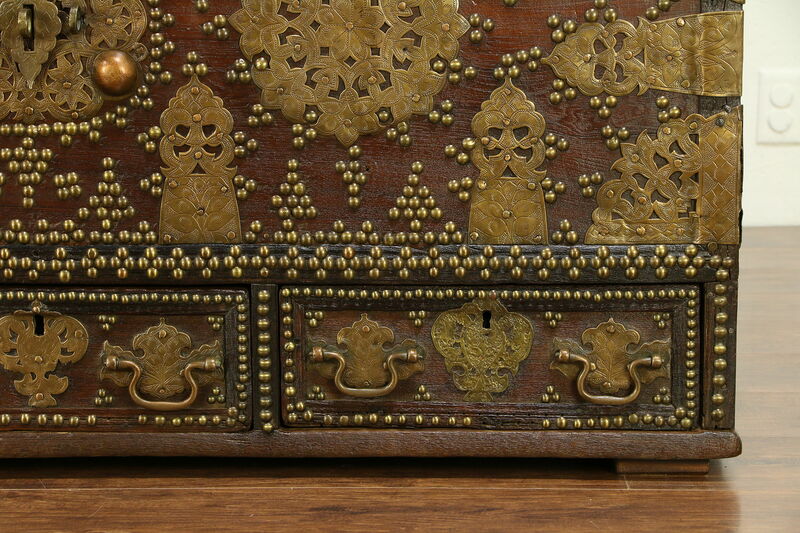 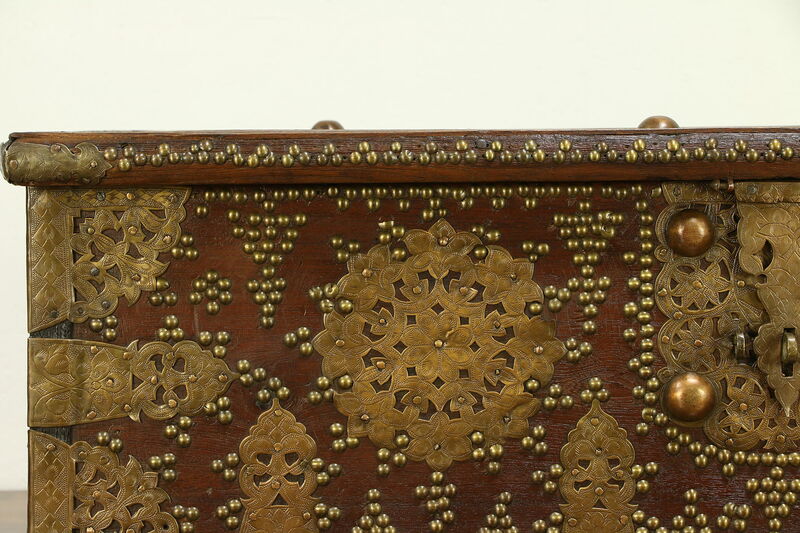 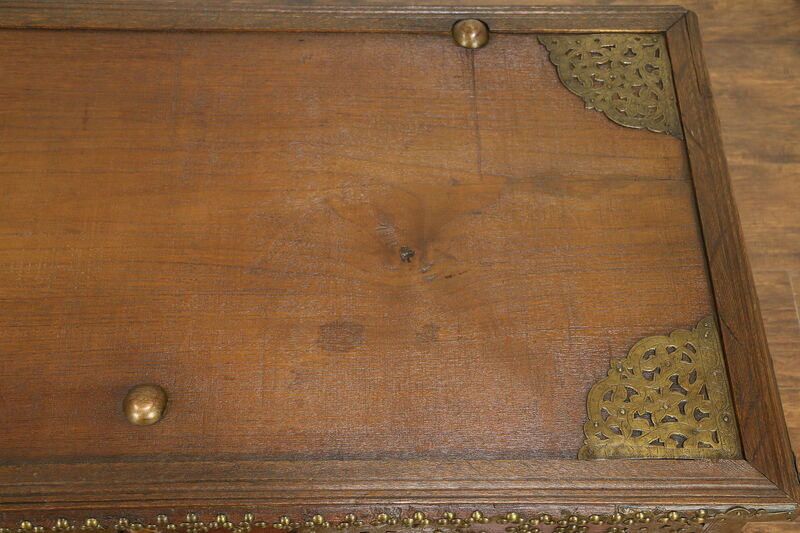 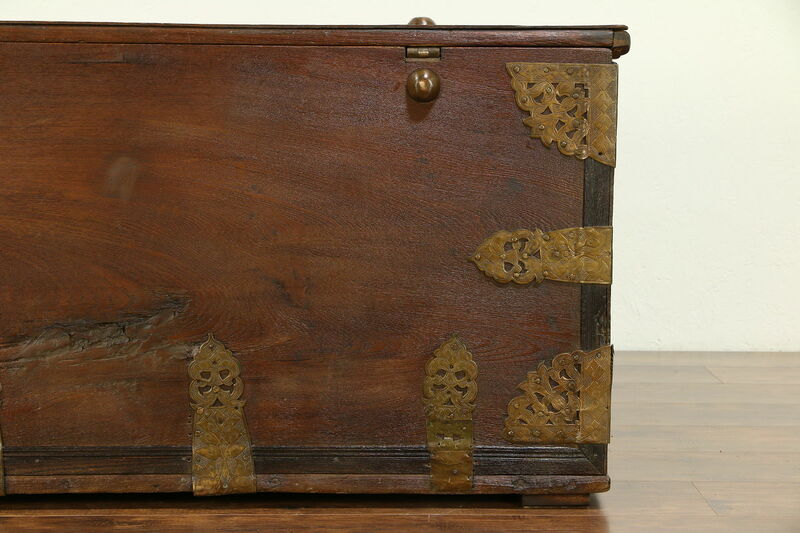 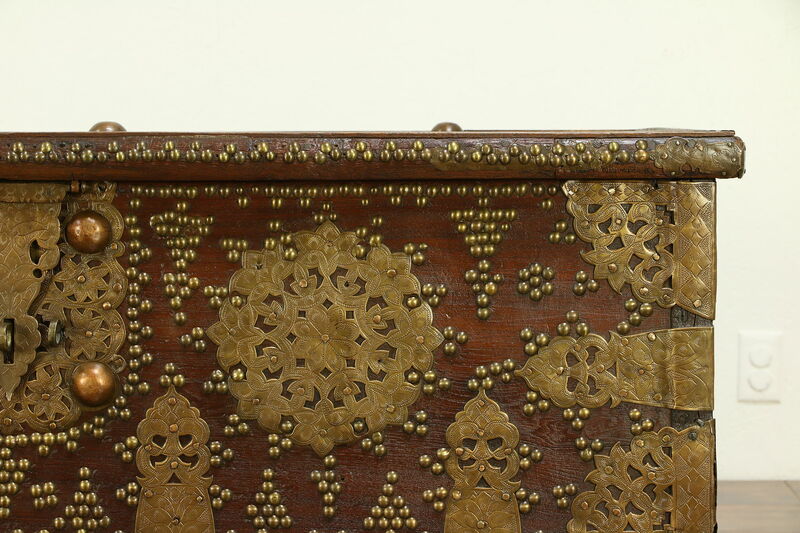 Carved of solid teak about 75 years ago in India, this trunk or chest is richly inlaid with brass designs and engraved mounts, and would make an interesting coffee table as well. 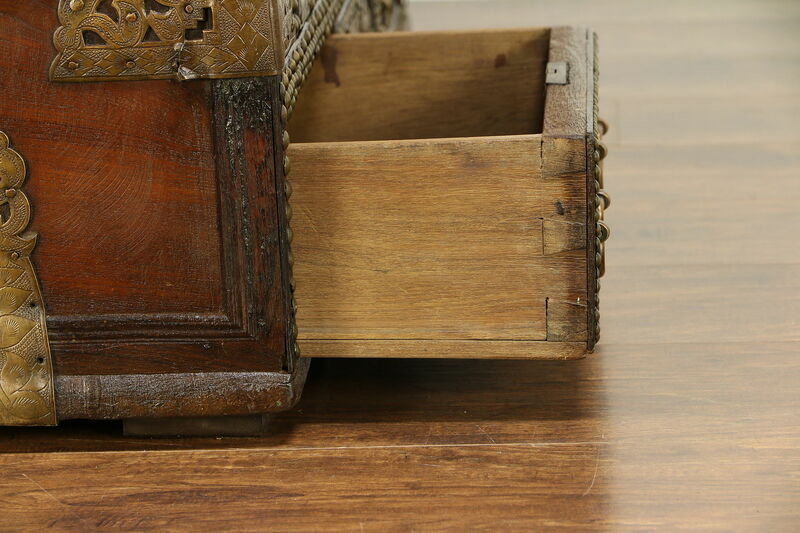 Teak is one of the few heavy hardwoods that does not float in water. 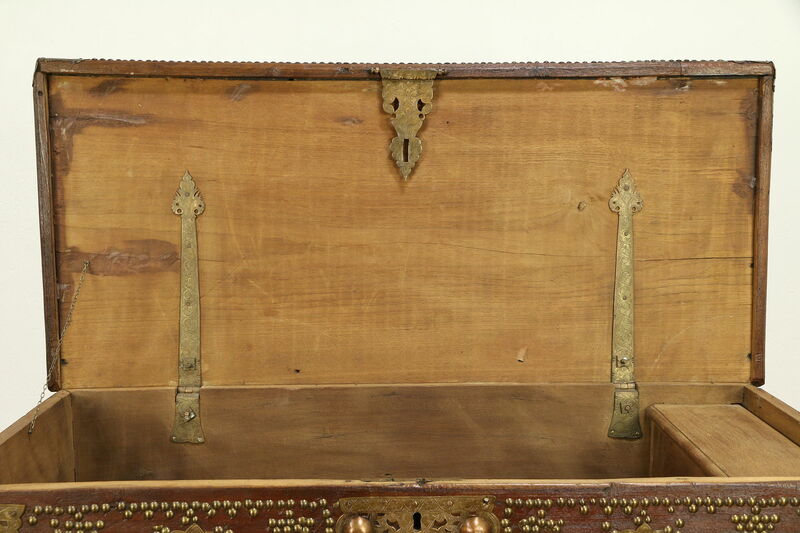 The original low luster finish has been waxed and buffed, so all that is needed to maintain it is an occasional wipe with a soft dry cloth. 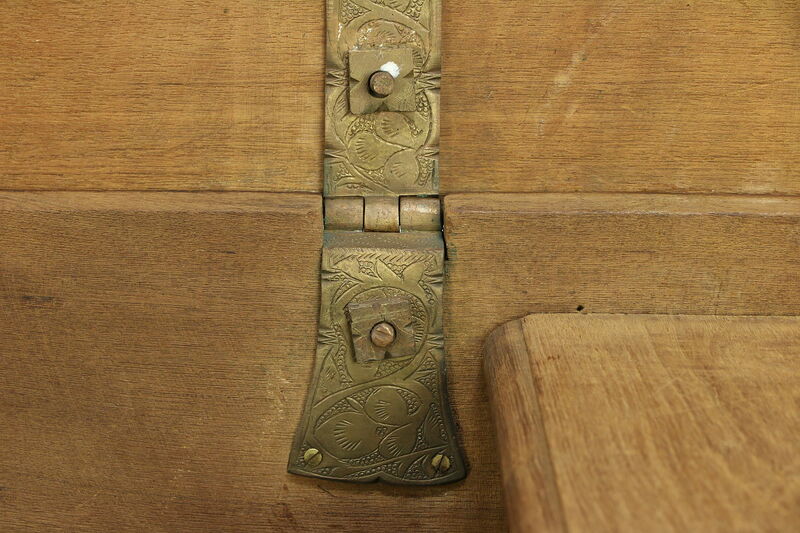 Drawers in the base have hand cut dovetail joints. 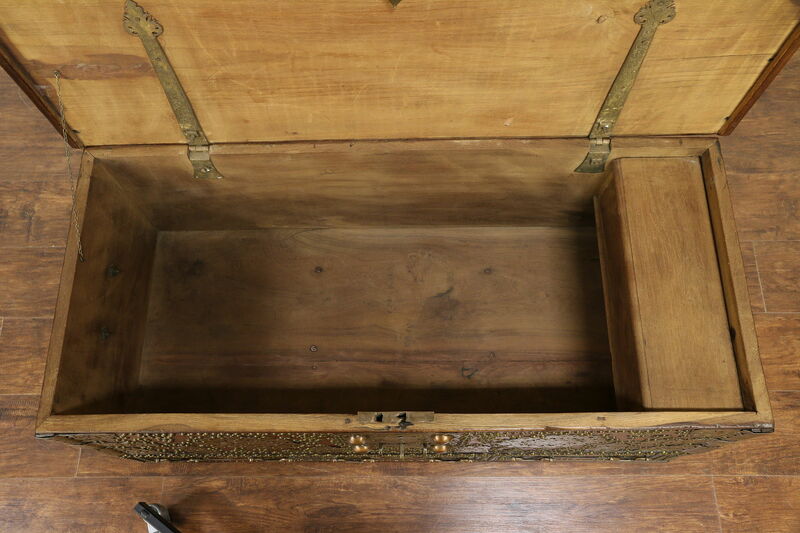 Inside is a covered compartment for valuables. 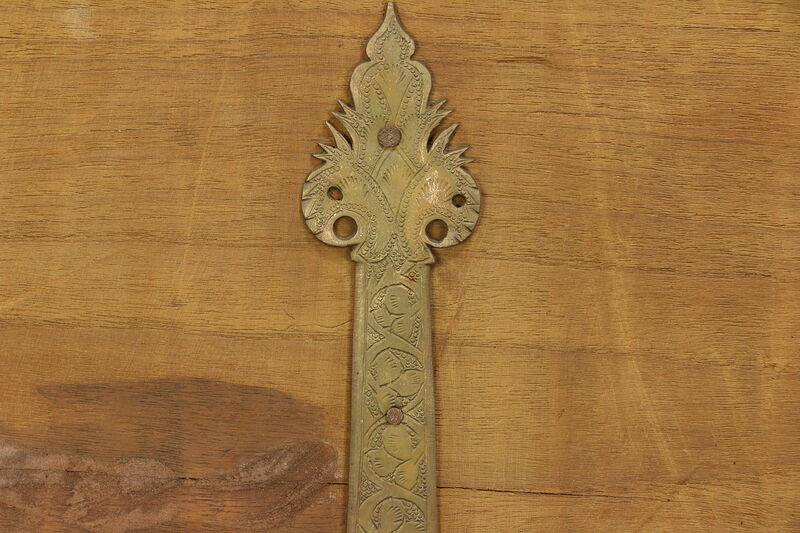 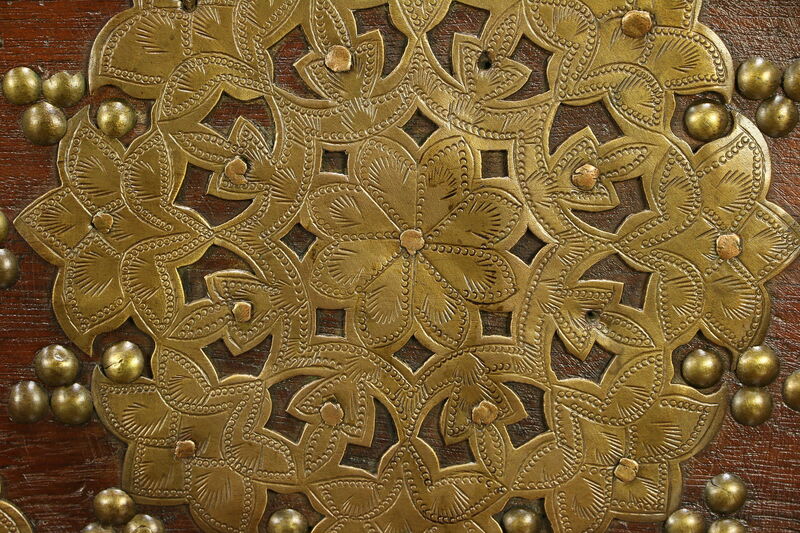 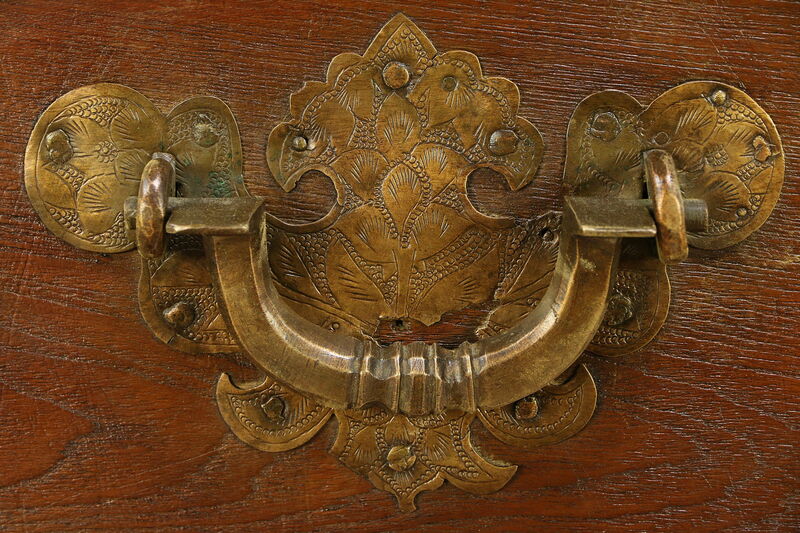 Mounts and hardware are solid brass with copper studs. 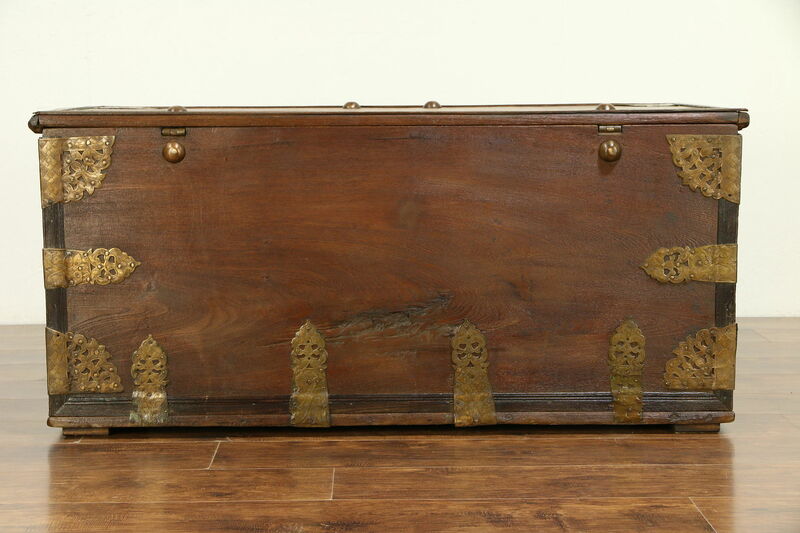 Size is 50" long, 23" deep and 23" tall.